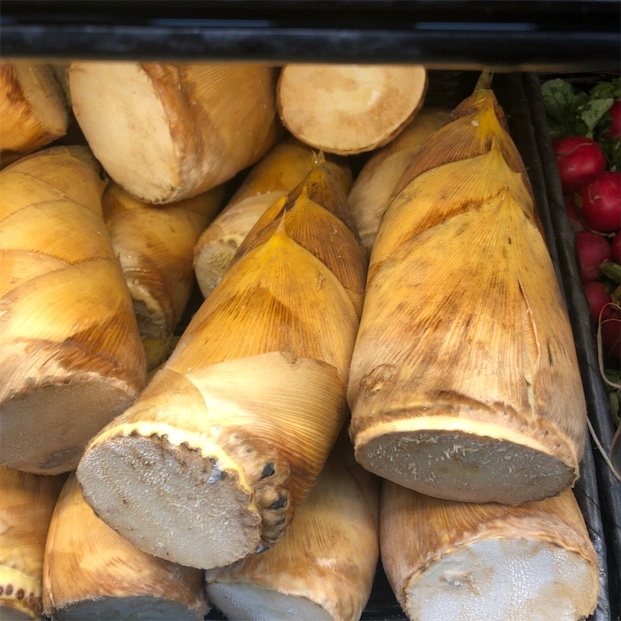 Blush daikon radish are cylindrical in shape with broad shoulders and a tapered end. They grow to 10-13 centimeters and have a thin, smooth skin. The pink exterior is brightest nearest its leaves and becomes a faint blush pink at its tapered end. The flesh is white with a starburst of pink and is crisp and juicy. 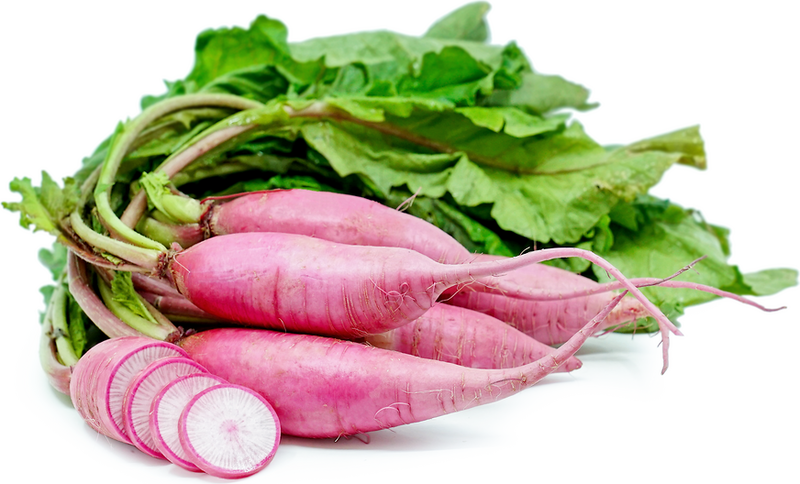 Blush daikon radish have a mild to medium peppery bit that is characteristic in most radish varieties. Blush daikon radish are available in the winter months. Blush daikon radish are botanically known as Brassicaceae raphanus sativus. The word ‘Daikon’ is Japanese for “great root”. There are over 100 varieties of Daikon radish, most of which are near extinction due to the lack of commercial value.